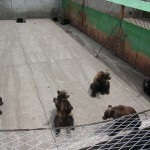 Two elderly women were mauled to death by bears who escaped concrete pens of a “bear farm” in northern Japan Friday. The specifics of a bear farm–animals are used both as cheap entertainment and for their gall bladders in traditional medicine–are unique to Asia. But these kind of escapes from private facilities are not. Too many of these sad places have horrific endings like the one we saw in Zanesville, OH. 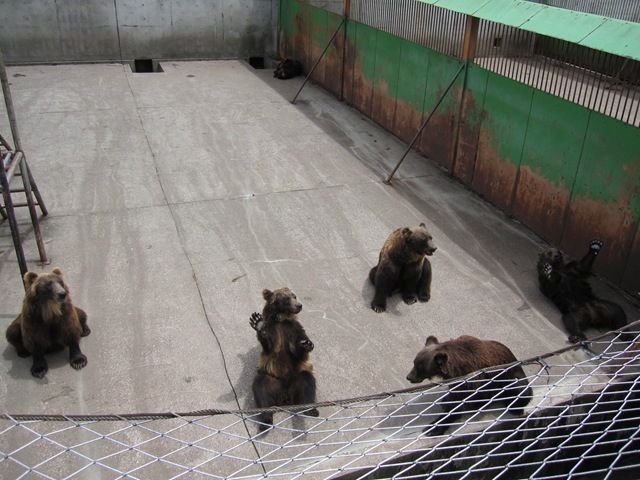 The Hachimantai Bear Farm is one of two in Akita prefecture and eight in Japan, according to a 2002 report from the World Society for the Protection of Animals. 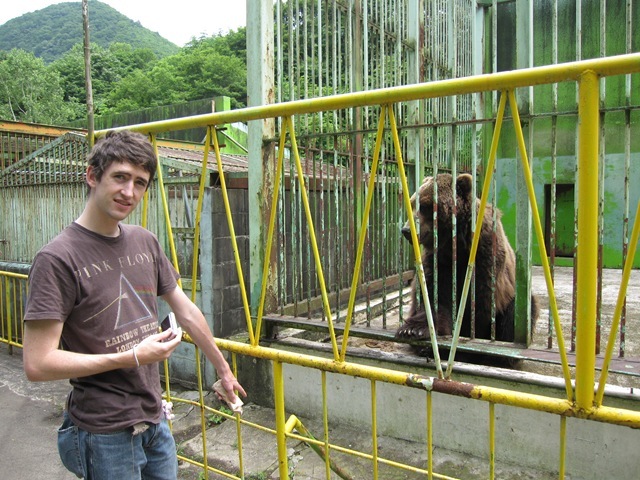 Japan has a huge, totally unregulated market in bear gall bladder and some of the bear farms themselves sell it. 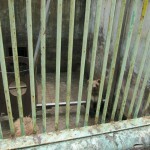 Yomuri Shinbun says that the farm opened in 1987 and has had a succession of seven owners and many complaints from animal groups about the animal’s living conditions. 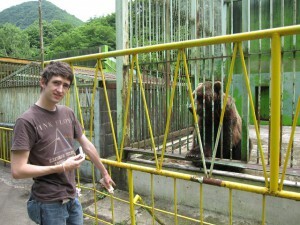 They had 38 bears, mostly brown (grizzly) bears. There’s much confusion over how many were still in their concrete pens and how many escaped, but at least six were shot by local hunters after the incident. Everyone originally thought that the bears escaped by climbing on piles snow. 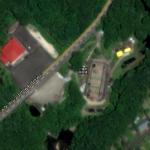 Mainichi quoted the 68-year-old operator of the park saying: “They may have climbed over the fence from there [a snow pile]…We used to remove the snow by pouring water onto it, but we were not aware that parts of it were still there.” But Japan Times now says a cage door was open. And one of the women may have collapsed before she was attacked. Also note: the two dead workers were 76 and 69. If I lived near there, they probably wouldn’t be my first choice for the staff. 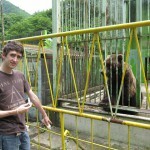 The bears would do tricks, like showing off their bear paws, to get food from tourists. This isn’t just a backwater, shameful sideshow. Mainichi Shinbun says that 7,000 people a year still visited. The Akita Tourism board mentions it. These creepy places keep in business because people keep going to them not realizing how easy, or at least possible, it is to see them in the wild. BEST NEWS I heard today .. its made my day!! Ya evil cruel barbarians hope the bears gets each of ya bastards!! !